Critical opinions about the world of games. Flying Carpets Games recently debuted The Girl and the Robot, their first game out the gate, after successfully hitting their Kickstarter goal. 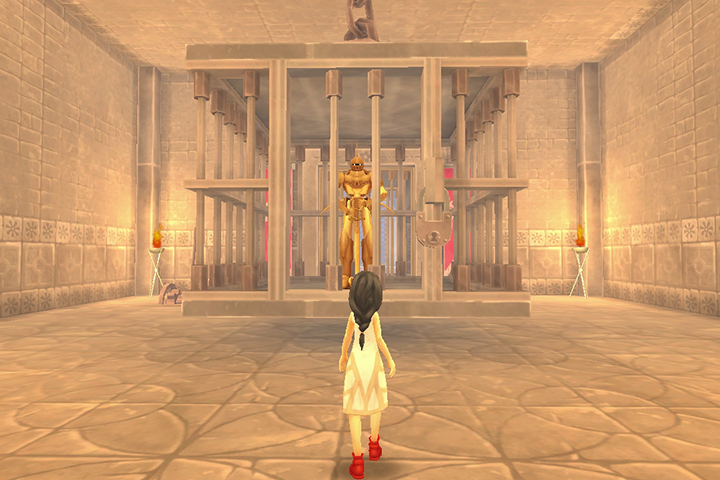 The game follows a young girl attempting to escape a winding castle situated in the sky with the help of a gold-colored robot. And it looks very promising. I recently went hands-on with the game’s alpha build, which is available for purchase via the game’s Website. It already looks very promising, even though it still obviously has a long way to go. The game began in the girl’s living quarters. It’s a very small room – just enough space for a bed, bookshelf, a desk, and nothing more. The doorway’s open, which leads out onto a bridge followed by a small stone courtyard. A ramp spirals up the pillar, leading to another, longer stone bridge. The camera starts freaking out here, causing me to fall off a few times (alpha build, folks). At the end is a small room with a cage at its center. Inside, a knightly-looking robot stands ready, its gaze following the girl closely. There’s no way to open the cage from here, however (the switch in the room only opens the door beyond it), so I leave it for now. Beyond the newly opened gate is another long stone pathway. A large, ornate building rests on the other side, guarded by another less friendly looking automaton. As the girl cannot defend herself (kinda hard when the robots are twice her size), all I can do is run. A stack of crates lay in front of an open window, thankfully, so I’m able to escape to safety. The room within is massive. Levers sit in each corner, each controlling the positions of stone pillars in the center of the room. Some light puzzle solving ensues, eventually leading me to the top of the structure in the center of the area. A red amulet rests on a pedestal. I pick it up and suddenly move away from the girl’s perspective. Now I’m the robot. Still stuck in the cage, though, so I bust my way out. A couple well placed swings of the automaton’s sword and the lock falls right off. Its movement is stiffer and slower than that of the girl, who by comparison is much more quick and nimble. Takes some getting used to. Once I get the basics down, it’s time to take on that pesky enemy robot. Combat is slow and methodical. There’s a long pause between each strike, leaving you open to attack should you miss. 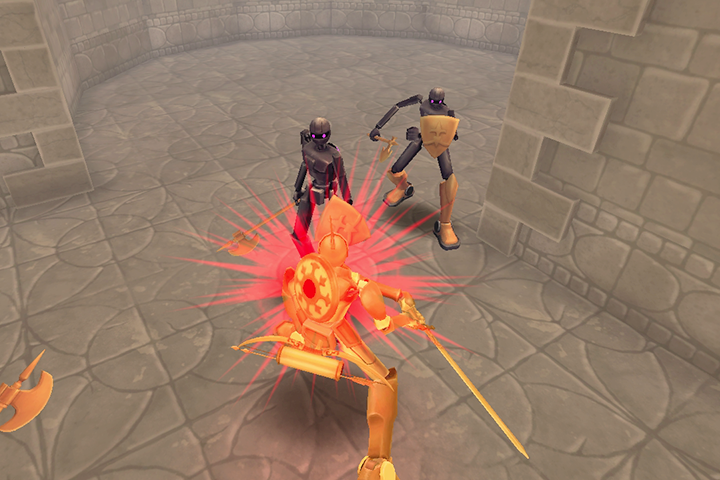 The robot’s slow to swap between its sword, bow, and shield, which emphasizes the need to be deliberate with your actions — sloppy play greatly punishes you. Enemies move faster and are inordinately aggressive, charging on sight and unleashing flurries of attacks to quickly degrade your armor. I was often forced into a corner with my shield raised on many occasions, as such, waiting for an opening to strike. It feels clunky right now, but the mechanics seem sound. With the enemy destroyed, the front door opens. I swap to the girl and walk up to the robot and make a few repairs. Her amulet allows her to remedy any damages the robot takes, any missing pieces of armor magically reappearing in seconds. Afterward, it’s back to the bot and to move on. A switch and an elevator wait at the top of the long, winding staircase from earlier. A quick cooperative puzzle later, they arrive at another large structure. Inside this one lies a couple of pressure pads, each opening different gates, forcing the two to split up temporarily. The first opens a cavernous chamber lined with ramps along the walls. The other opens a tight, ascending corridor populated with foes. Pretty clear who needs to use which. The girl has the easy job: just sit back and wait for a way to move upward open. The robot, on the other hand, not so much. Fighting multiple foes in confined spaces proves even more difficult than usual. Landing hits becomes harder than ever as foes work in tandem to prevent any openings to counterattack from arising. That combined with little room to retreat make for some tense battles. Along the hall is a block protruding out of the wall. I push it inward and it falls onto another pressure pad in the girl’s chamber. Pillars rise from the floor, suddenly, granting her a means of moving forward. None of the jumps prove difficult, the path ending in an opening that leads into the hallway the robot entered. It’s only a matter of time until the duo is reunited. The area after is another exposed skyway, a trio of gateways halting their progress. All, save for the rightmost door, remain closed. I head down it and the screen fades to white, thus ending the preview. 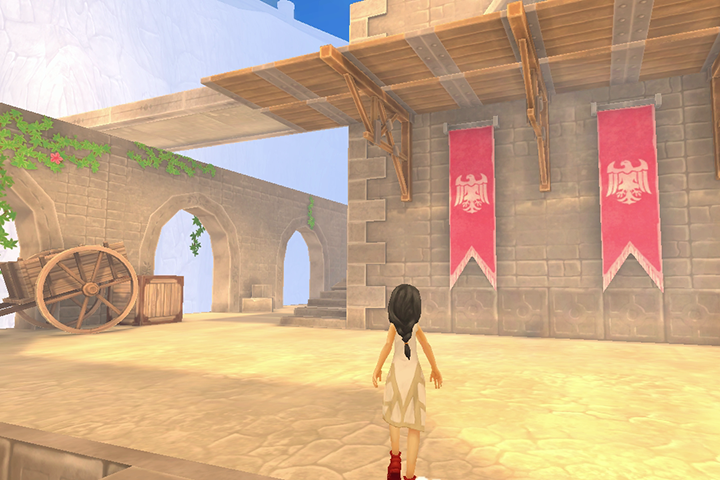 The Girl and the Robot is currently set for release late next year on PC, Mac, and Linux.